Kegel Balls: A must-hear Interview! "We're talking Kegel Balls! Yes, Kegel balls or vaginal weights, are more than pleasure toys! They are actually a great tool that allows physios help women to progress pelvic floor muscle strength work in a more functional way, for example when doing physical work like walking and lifting. Why do we need a strong pelvic floor? The pelvic floor muscle is the muscle that sits at the base of the pelvis. This muscle is responsible for your continence (bladder and bowel leak control), supporting your internal organs and giving pelvic stability. A strong pelvic floor will even give improved sexual function. So you can see, there are lots of reasons to have a good strong pelvic floor. To listen and learn more click on the play button above. 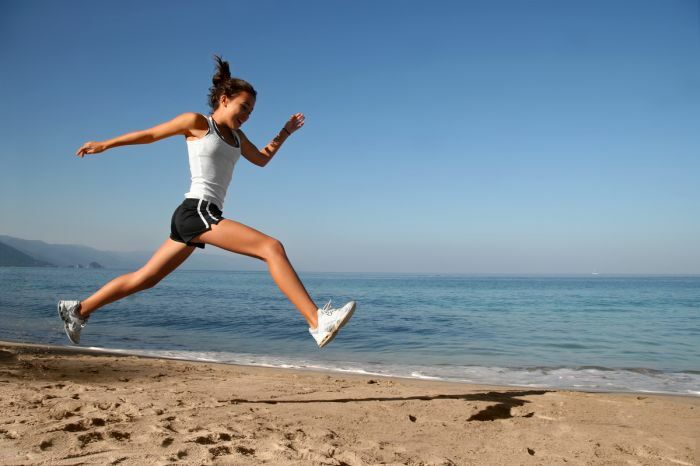 At Physiologix we have therapists specially trained in womens' health. Please email us from the contact us page or call us on 3511 1112. Read more information on the health of the Pelvic Floor here! 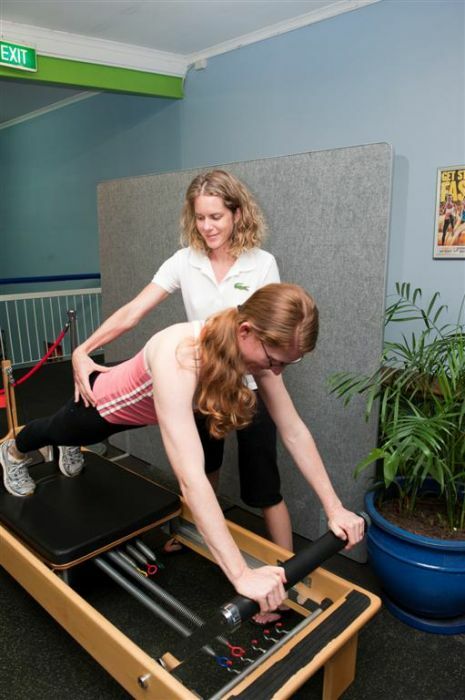 Body Trashed with Having Babies….Pilates is a Great Solution! 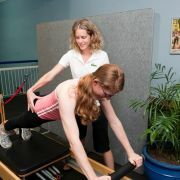 Pilates is a great way to exercise and care for your body. It is a fantastic form of exercise when pregnant and in returning to activity following giving birth. 50% of women have osteoporosis at 70 years of age. This is compared to men where about a third are affected. Most of this deterioration occurs with changes in oestrogen levels at menopause, where bones lose calcium and other minerals at a much faster rate. Pelvic floor issues affect many people, yet most of those who experience issues suffer in silence. It may feel embarrassing to ask for help, but there is a wealth of knowledge and skills that can help get you back on track. At Physiologix, physiotherapist Megan Bergman has specific training in the assessment and treatment of pelvic floor problems. Urinary incontinence is a common complaint in women, with reported rates between 32 and 64%. The two most common types of female urinary incontinence are stress incontinence (involuntary loss of urine on effort or physical exertion, sneezing or coughing) and urgency incontinence (loss of urine associated with urgency). Many women present with a mix of the two. Incontinence can affect quality of life and participation in social activities, especially physical activity.